April is Autism Awareness month - a global campaign to promote Autism awareness. Here in the UK we also have an Autism Awareness Day at the beginning of April. The puzzle pieces represent different things to different people. For some, it represents the diversity of people with Autism. For others, it is a negative image showing Autism as something to be fixed. 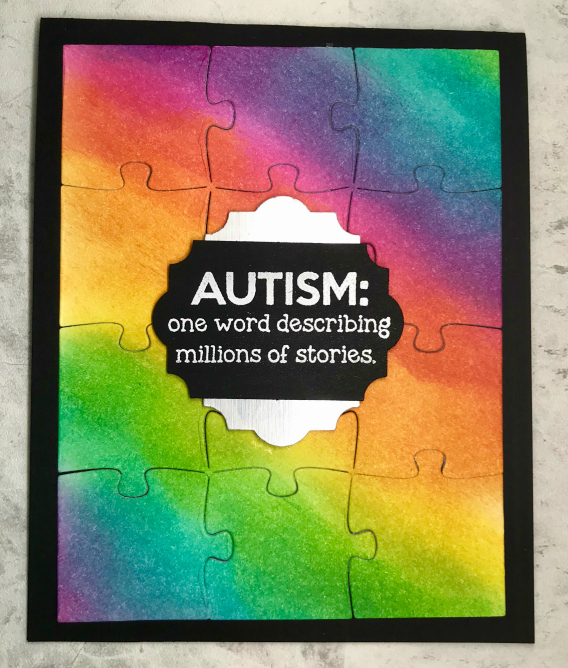 Personally, I like the bright colours and for me, the puzzle pieces represents families affected by Autism joining together to support each other. The puzzle ribbon was adopted in 1999 as the universal sign of Autism awareness. 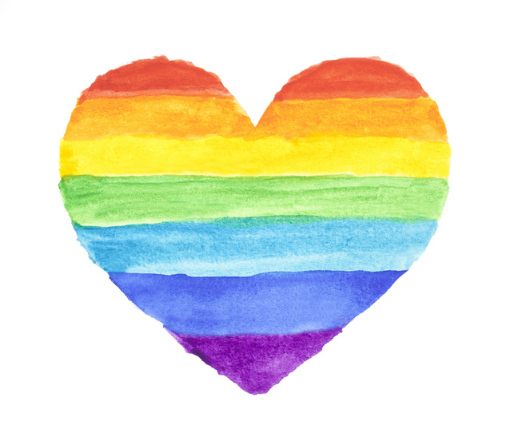 The rainbow is a spectrum of light and it is used to represent the different Autistic Spectrum disorders. 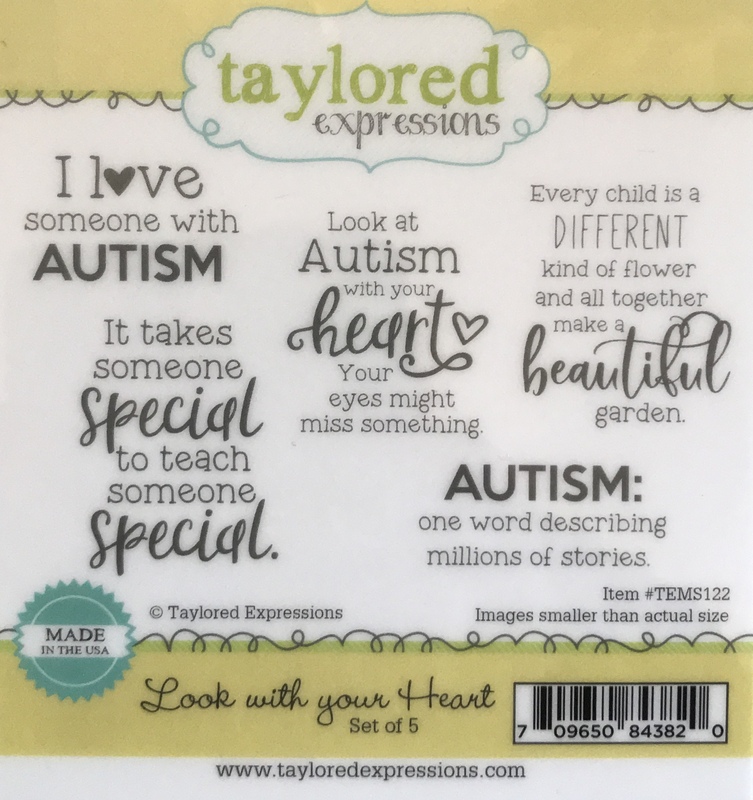 All the sentiments below were made using the "Look with your Heart" stamp set from Taylored Expressions. The first card uses bright designer paper as a background to main layer. The puzzle pieces were cut from different coloured card with a small puzzle die with the Big Shot die cutting machine. The sentiment was stamped with Tuxedo Black Memento Ink. A very quick and simple card to make. The bright rainbow of colours on this card was made by sponging and blending 4 different distress ink colours on top of white card. 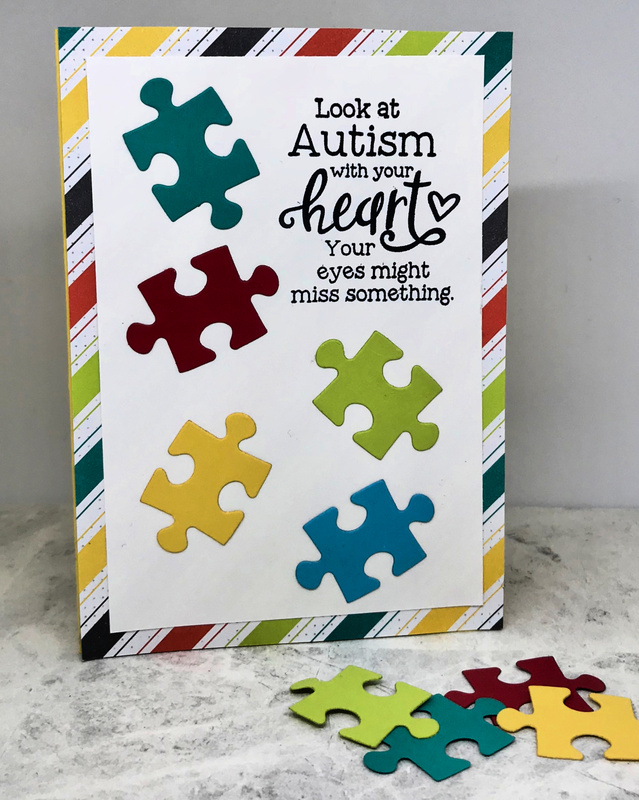 The coloured card was cut with the Taylored Expressions "Puzzled Cutting Plate" and stuck to the front of the black card base. The sentiment was stamped on black card with Versamark ink and embossed with white embossing powder. 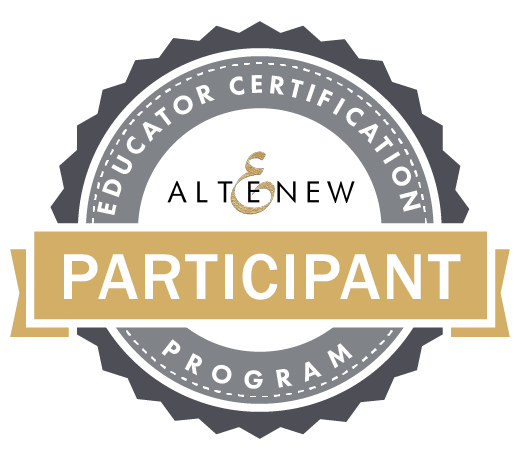 The black card was then cut with the Everyday Label punch from Stampin Up! and a background label punched in silver card. 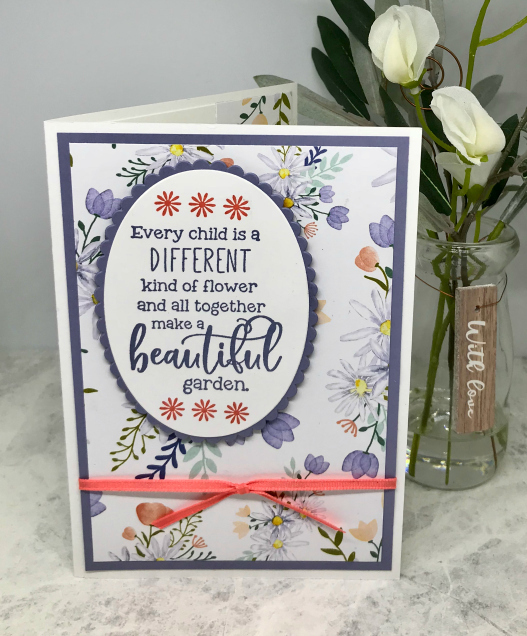 The sentiment on this card could be used by any parent of a child with additional needs. It was stamped using lavender ink. The card was cut with an oval die with a layered oval behind to help the sentiment stand out. The layers were created with floral paper and lavender card stock. Bright calypso coral ribbon adds a final splash of colour. 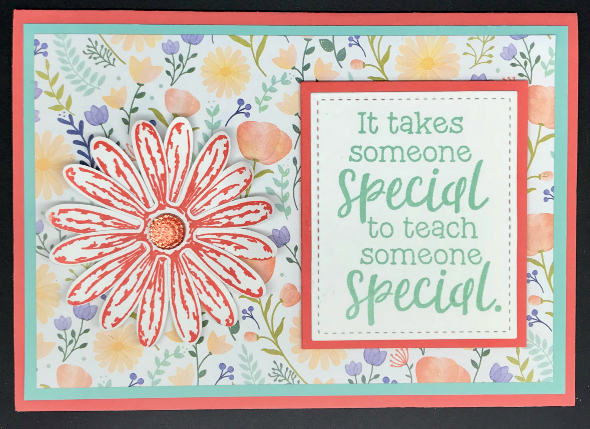 "It takes someone Special" is a wonderful card for a child to give to their teacher or learning support. The background layers were created using floral paper, Pool Party and Calypso coral card stock. The Daisy was stamped twice with Calypso Coral ink and punched with a Daisy punch from Stampin Up!. (see Daisy Cards for instructions). 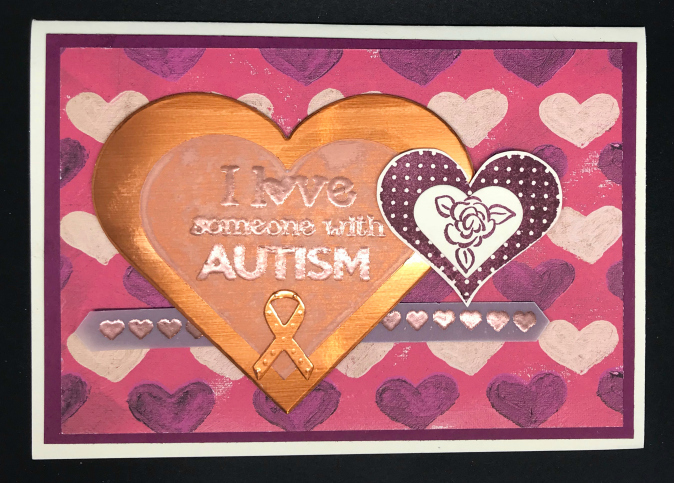 "I Love Someone with Autism" uses die cut hearts and heart paper. The large heart and awareness ribbon were cut from copper card. The sentiment and line of heart were stamped on vellum with Versamark ink and heat embossed with copper embossing powder. Find out more about Autism from the National Autistic Society in the UK and the Autism Society in the US.